REDWOOD CITY, Calif.--(BUSINESS WIRE)--Innit®, a new company that manages and connects food information, launched today at the Smart Kitchen Summit in Seattle with initial funding of over $25 million from founders and strategic investors. Innit unlocks and listens to the information within food through science, technology and culinary expertise. Through its cloud-based platform, Innit then connects food to appliances, devices and users in order to enhance how we select, prepare and cook food. The $21.5 trillion global food and beverage market (source: Frost & Sullivan) has been slow to digitize, with information largely inaccessible by consumers. Many efforts have been made over recent years to enable the smart kitchen; however, information within the food itself has been the missing ingredient. Now, Innit is poised to leverage a wave of technology innovations including advanced sensors, smart appliances, machine learning and on-demand delivery models that will transform the industry, creating opportunities for both consumers and industry players. Based in Silicon Valley, Innit brings together experience from top experts in food, technology and science with proven execution capacity. Innit is working with industry partners to digitize food and enable the connected kitchen ecosystem. Eugenio Minvielle, founder of Innit, is a 20-year food industry veteran with experience leading $10B+ consumer businesses. Minvielle served as president and CEO of Unilever North America, and as president and CEO of Nestlé for multiple regions worldwide. Kevin Brown, CEO and co-founder of Innit, is a food enthusiast and 20-year Silicon Valley veteran who has built multiple infrastructure technology firms. Brown served on the founding team of search engine pioneer Inktomi (NASDAQ, acquired by Yahoo), on the original executive team of data security firm Decru (acquired by NetApp), and as CEO of Kidaro (acquired by Microsoft). 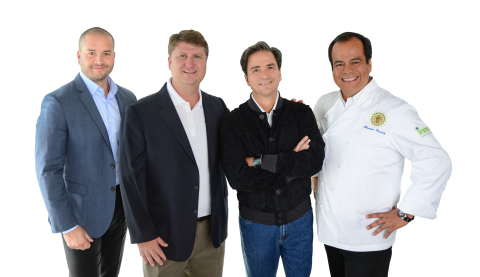 Francisco Deolarte, chief development officer and co-founder, has assembled a world-class team of culinary experts. Deolarte is a 20-year food and beverage industry leader and award-winning chef, and has been named a Chevalier de l’Ordre Mondial de l’Academie Culinaire de France. His career includes leadership roles at DE Master Blenders and Nestlé, where he ran $1B+ food businesses and developed cutting-edge food science and technology. “One of the biggest areas of innovation in the smart, connected home over the next decade will be the kitchen, growing from $694 million in 2015 to over $10 billion by 2020,” said Michael Wolf, chief analyst at NextMarket Insights and creator of the Smart Kitchen Summit. “Innit’s vision to better utilize and connect food information is a sign of growing innovation within the smart kitchen marketplace." Innit’s announcement at the Smart Kitchen Summit will be livestreamed on November 5 at 10:35am PT at the following link www.smartkitchensummit.com/video. Innit empowers people through food. The Innit platform combines personalized culinary and nutritional science with cutting edge information technology to power the emerging Connected Food ecosystem. For more information, visit www.innit.com. Innit is a registered trademark of Innit Inc. Innit Empowered and Listen to Your Food are trademarks of Innit Inc.